Perseverance has always been a catchword for me. Not because it is popular and is believed to be an extraordinary quality but because it is really difficult to stay honest to it. I think it seems normal to many people to vacillate and rethink their decisions when they get no glimpse of success after a lot of persistent efforts. And such rethinking, which can be said to be a sort of compromise with perseverance is, however, also a part of our understanding of pragmatism. But staying true and honest to our convictions and thus to the decisions and course of action we take for that matter is no easy task either. Few people I feel possess the grit needed to carry on with their decisions based on their convictions. 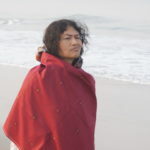 I was in school when I heard about Irom Sharmila for the first time. Then she was an ordinary woman for me, a civil rights activist struggling for the cause of her people. Yes, it was obvious that she was brave and motivated enough, when she started to become an activist against the Indian government. But there are many people like her who have been struggling for certain civil rights against the state. Thus to my naïve mind, she was still not the one who would arouse my interest and admiration. However, over time she became an icon for me. An icon of perseverance and an icon of public resistance. A girl from a small village who took on the Indian state when she was just 28 years old. 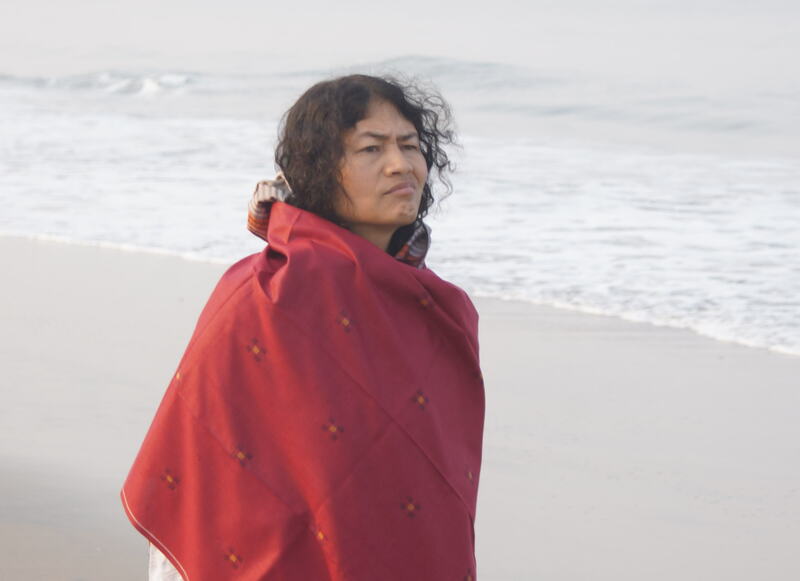 Irom Sharmila is a native of Manipur, a state in the north-eastern region of India. Manipur has suffered from insurgency and consequent political violence for a long time. She became involved in local peace movements and began working against human rights abuses in Manipur. However, her journey, which showed the world perseverance and her zeal to fight against human rights abuses, started after the “Malom Massacre” in 2002. After the Malom Massacre, she began to fast in protest on 5 November 2000 against atrocities committed by the army. And I believe you will be astonished to know that she continued her fast until 2016. To observe a fast for sixteen long years for a cause she believes in really takes a lot of grit. She began her fast to protest against the Armed Forces (Special Powers) Act (AFSPA), and her primary demand to the Indian Government has been to repeal AFSPA. This Act (AFSPA) applies only to the seven north-eastern states and to the state of Jammu and Kashmir, as these states have witnessed insurgency for a long time. 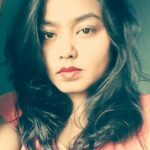 She declared that she would not eat, drink, comb her hair, or look into a mirror until the Indian government repealed AFSPA. Only three days after she began her fast, she was arrested by the police on grounds of an “attempt to commit suicide”, unlawful under the Indian Penal Code, and thus transferred to judicial custody. Nasogastric intubation was forced on her to keep her alive when under arrest. Since then Sharmila was regularly released and re-arrested until 2016. Sharmila was detained in Imphal’s Sajiwa Central Jail, but she usually spent her time in the city’s Jawaharlal Nehru Institute of Medical Sciences. In 2006, following her procedural release, Sharmila took her protest to New Delhi, the capital of India. Along with many other protestors, she began fasting at Jantar Mantar. She was again arrested but her hunger strike received international attention this time. Sharmila adopted the non-violent and peaceful way to protest and I believe everyone would agree that this is the most difficult way. Mahatma Gandhi advocated such a way to protest. When she began her fast, she might not have thought that her journey would last sixteen long years. Her resolve might not have led to a repeal of the AFSPA, but she succeeded in internationalising the issue and making people around the world aware of the situation. Moreover, her grit has become a source of inspiration for many civil rights activists in India. She became such a symbol of resistance that when she decided to end her fast, many people were very disappointed. She ended her fast exactly a month after the Supreme Court judgment questioned the immunity enjoyed by the security personnel under the Armed Forces (Special Powers) Act of 1958 (AFSPA) against the criminal action for acts committed in troubled areas. Sharmila decided to join politics in Manipur and ran in state elections with the aim of fighting for the removal of AFSPA. But she could not get enough votes and lost the election. Post-election she declared that she would quit politics. 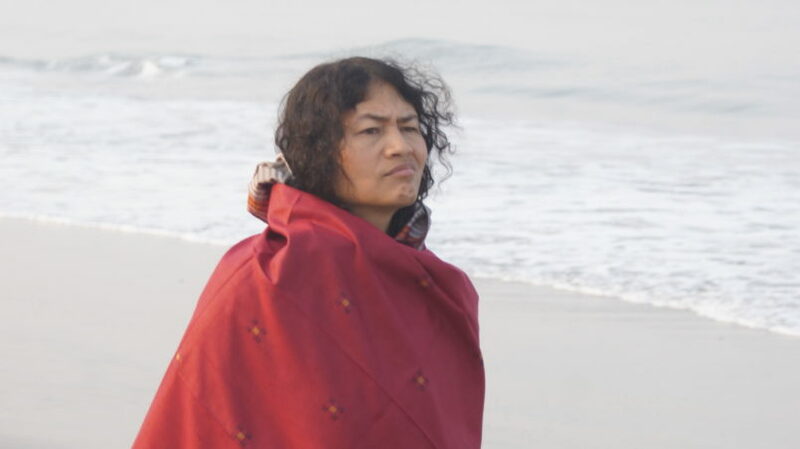 In 2007, Irom Sharmila was awarded the Gwangju Prize for Human Rights, in 2009 with the Mayillama Award of the Mayillama Foundation, a lifetime achievement award from the Asian Human Rights Commission, and the Rabindra Tagore Peace Prize in 2010. In 2013, Amnesty International declared her a “Prisoner of Conscience”.